Jeff Alba joined Diversified Partners as a 17 year veteran of the retail and restaurant commercial real estate industry in Arizona. His extensive experience includes shopping center leasing and sales, tenant representation/site selection, and the acquisition/disposition of new development projects. 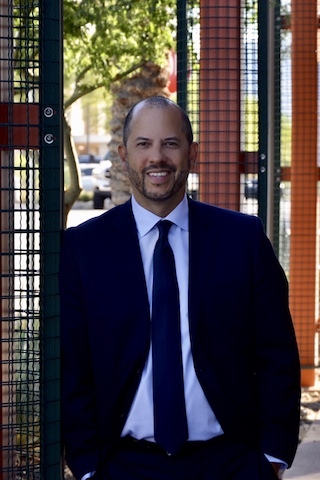 Prior to joining Diversified Partners, Jeff spent four years as the Regional Leasing Director for Westwood Financial managing the leasing for the Arizona portfolio which consisted of 20 grocery anchored shopping centers. He started his real estate career at Grubb & Ellis and over the years, also gained valuable brokerage experience at Trammell Crow, Strategic Retail Group and SRS Real Estate Partners. Throughout this time, Jeff has worked on both the Landlord and Tenant side of the real estate business. Landlord clients have included large developers such as Vestar, Kimco and Kornwasser, along with multiple other local shopping center owners in Arizona. Throughout his real estate career, Jeff has consistently developed and maintained strong relationships with his clients and the brokerage community through excellent service, creating value and providing solutions. Jeff is a graduate of Arizona State University and is a long time member of the International Council of Shopping Centers (ICSC).